Carpet cleaning is a thorough and hard task. You need to know the proper ways in cleaning it to get results. You also need to be careful so that you won’t damage the fabric. Sometimes when cleaning you forget to take care extra care of the delicate fabric you’re cleaning. 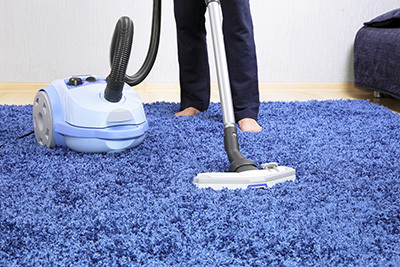 It’s best to know the things you have to avoid so that you’ll avoid damaging the carpet. You should avoid using a steel brush when scrubbing and doing the stain removal process. It would be better to use a plastic brush when scrubbing it. Make sure that the brush you’re using is soft and won’t the damage your carpet. It’s also ideal to use a soft scrub when removing stains. It’s best that you carefully scrub the stains and not the whole carpet. Don’t ever scrub the sides of the carpet. This will only damage the fabric. It’s preferable that you use an old unused toothbrush when removing stains on the edges of carpet. Sometimes mold removal can be very tough. One common mistake that people commit when doing carpet maintenance is using strong solutions that could damage the fabric. It’s best to refrain from using such damaging liquid solutions. It’s preferable to use a simple water and detergent solution. You could also add a few drop of stain removal solution. Take note that if you use large amounts of stain removal in the solution then there’s a chance of discoloration. It would be better to abstain from using very strong stain removal liquid solution. You should also refrain from using oil-based perfumes in removing odor from your carpet. It is best that you use a water-based solution when doing the odor removal process. Mix an ample amount of fabric conditioner in warm water and spray it to your carpet. This removes the foul smell of your carpet.